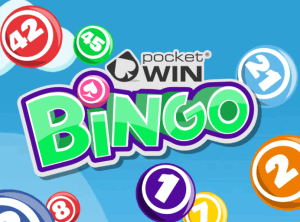 When a bingo site is linked to a certain network or software, they then have to follow the rules of that particular brand. The whole design, interface, games rooms and promotions will all follow a familiar pattern, and therefore all the sites that run on that network will feel quite similar. This isn’t always a bad thing however, and some of the biggest online bingo sites are powered by much larger branded software companies that run several sites at a time. Nevertheless it is sometimes quite refreshing to come across a site, that is a totally unique and completely powered independently. 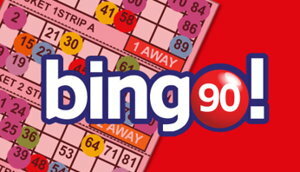 Here at www.bingowebsites.org.uk, we list a handful of online bingo sites that run on their own independent software. This will be exclusively designed for one specific brand, and these independent sites can then offer players something slightly more bespoke. Most of the games and promotions won’t be found anywhere else online, and they can offer up something a little different to the larger software brands. As the independent networks generally only power one or two sites too, it means that all of their attention is focused on one site at a time. Again this can offer players a sense of exclusivity, and also the knowledge that the company aren’t spread too thin. It can also mean the sites benefit form slightly better graphics, layout and interfaces too, as the designers will only be working on one or two sites for the brand. All bonuses awarded as bonus credit.100% deposit match of first deposit, up to £100 and paid as bonus credit with a 1x wagering requirement. Bonus credit cannot be withdrawn. Max withdrawal without depositing is £200. You can withdraw any unspent deposit, in addition to the funds in your cashable credit account, BeGambleAware.org. Up to £10 free bonus credit and an up to 200% first deposit match both available to win via separate Feature Games. Deposit match available after first deposit. Max bonus £100 paid as bonus credit. Bonus credit has x40 wagering requirement. Deposits have a x1 wagering requirement. Up to £10 bonus credit expires 14 days after registration, deposit bonus feature game expires 30 days after registration. Max withdrawal without depositing is £50. You can withdraw any unspent deposit, in addition to the funds in your cashable credit account. BeGambleAware.org. Must accept bonus when depositing. Bonus of 200% on min deposit of £10, max £25. Any winnings available to withdraw immediately, bonus never available to withdraw. Bonus expires on account closure. Intouch Games Ltd first launched back in 2007, and the company are based in the West Midlands in the UK. The software originally just powered one online bingo site called mFortune, but they’ve since gone on to open three more applications over time. The software was one of the first of its kind, and paved the way in mobile gaming apps. They created a brand new way of gaming on the go, and the brand have gone on to gain much success through these simple apps. They now run Pocket Win, Mr Spin and also the recently launched Dr Slots too, however mFortune still remains their most popular site to date. 2001 – Intouch Games is established as a manufacturer and operator of leisure machines. The company originated in the West Midlands, UK, and supplied the retail pub trade and independent bookmakers. 2006 – The company introduce the Sound Storm digital MP3 jukebox, and become a nominated supplier to several of the UK’s largest pub operators. 2007 – The company launch their first online brand, mFortune. 2008 – mFortune adds bingo to the brand and also Pirates Treasure slots. 2009 – mFortune adds Vegas Vegas and Cat and Mouse slots games. 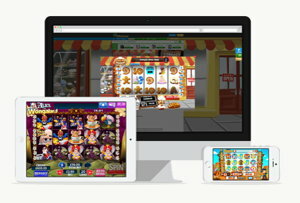 2010 – Intouch Games separates leisure machine and mobile phone activities, and they launch their second brand, Pocket Win. 2011 – 24 hour customer service is launched. 2012 – Intouch Games win several awards including EGR product of the year and Best Bingo Operator at the mGaming awards. 2014 – All game development moves to the UK, bringing the workforce to 40 people. 2015 – 8 new games are introduced, and the workforce builds to around 80 people. 2016 – Business expands to over 200 people, and the third product is launched called Mr Spin. 2017 – Intouch Games opens offices in Taiwan. 2018 – Dr Sots is launched with 8 new exclusive games. The Intouch Games team now spans over 300 people. 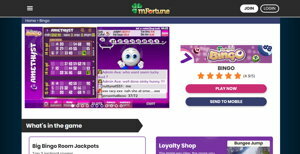 mFortune – This was the Flagship site for the brand, and launched in 2007 primarily for casino and slots. Fast forward a decade and mFortune now offers more than 40 slots titles, accompanied by even more casino titles and of course the ever popular mFortune bingo. Pocket Win – This site launched in 2010, and is home to more than 35 casino games. From fantastic original slots to brilliant bingo, Pocket Win has become a formidable force in mobile gaming. Mr Spin – The most recent site from Intouch Games launched in 2016, and can only be found via mobile applications. Starting with just 5 games originally, it has now gone on to host over 35 casino and bingo titles which have proven an instant hit amongst Intouch Games players. The Bingo is really basic throughout all of the Intouch Games sites. You will generally only find 90-ball games, so if you prefer a wider variety then you may have to look elsewhere. The games are all designed for quick on the go mobile gaming however, and they are kept quite simple and classic and are really easy to play. The rooms are quite varied and you will find lots of individual theming across the board, however as mentioned above the only bingo on offer comes in the standard 90-ball format. Some players may prefer this nevertheless, as it keeps things simple and doesn’t become too overwhelming. As the platform first started out in casino and games, there is a really great variety on offer throughout this area of the brand. You will find Roulette, Blackjack and Texas Hold’em Poker, plus over 35 unique and exclusive slots. All games have been designed specifically by the Intouch Game team, and you won’t find these titles anywhere else online. 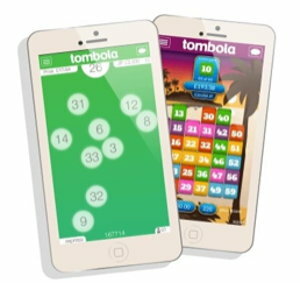 Tombola Bingo runs on an entirely independent network, and the brand only run one website in total. The site was launched in 2006, and has since gone on to become one of Britain’s best and most popular online bingo sites to date. The unique software is super stylish and classy, and the layout and design of the site is of excellent quality. It has HD graphics with a very fresh and modern feel, and the brand as a whole really does offer players that one of a kind feel. The games and promotions won’t be found anywhere else online and the variety of bingo ranges from classic 90-ball games, through to 50 and 60-ball games that are completely exclusive to the Tombola network. Tombola is a family run business, and the brand began way back in the 1950’s printing bingo tickets for bingo halls up and down the UK. Fast forward to 2006, and Tombola is now one most of the most well known online bingo companies out there. The team are based in Sunderland in the North East of England, and the core values of the company have always been to create a site that focuses solely on its players. They encourage low stake play rather than influence greater spending, and they also put a lot of work into making the site a nice, friendly and social place to play. Every single bingo game that appears on the software has been exclusively designed for the Tombola brand. You won’t find these games anywhere else online, and all of the bonuses and promotions are completely unique to the network too. 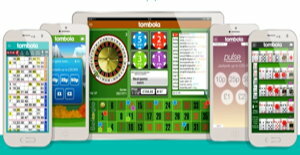 The Tombola network is primarily focused on bingo games firstly, however you will find some bingo style variations on a few classic casino games. If you’d prefer to play more Vegas style table games and slots however, then you can head on over to the Tombola Arcade page which is dedicated more to casino type online gaming. Choosing to play online bingo on a smaller independent network can offer a very different experience in general. The sites will be quite stand alone compared to some of the larger branded companies, and they can really offer players that one of a kind experience. You will find bingo and games that have been completely designed and developed exclusively for the software, and the sites will have a very different feel altogether in terms of design. interface, layout and graphics. Completely exclusive online bingo and casino games that won’t be found anywhere else online. HD graphics and excellent quality design, interface and layout. Much more personal feel throughout the site. Excellent connections with social media and chat room activity. Unique selection of bonuses and promotions. Much more personal customer service team interaction. Huge unique jackpots that won’t be shared amongst any other online bingo networks. A bespoke gaming feel that is completely individual to the specific software brand. All in all, independent online bingo sites can offer you something really different that won’t be found anywhere else on the market. You will find an excellent selection of bingo and gaming, within a bespoke environment with a nice personal feel. There aren’t any particular downsides to independent bingo sites, only that most brands will only operate one site at a time so you are limited to that one specific style of bingo. Other than that however, you will generally get a fantastic experience throughout, and enjoy exclusive games with a really personal and friendly feel.